For those who would be on their way to college in the United States, the SAT reasoning test would be something that would be very familiar to all. Administered by the College Board, the SAT test which covers literacy, writing and reasoning skills, has been designed to access a student’s readiness for campus. 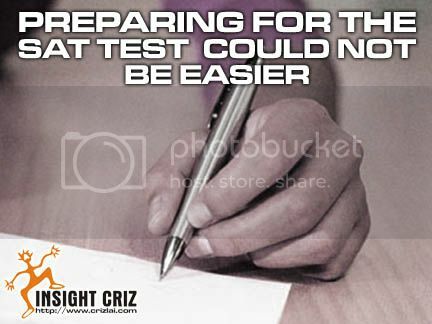 Most students would take the test as early as during their junior high school but dreaded the whole preparation process as it could be immensely stressful if no proper guidance was given. With the advancement in internet technology, you can now have a professional educator live online to guide you all the way through the SAT prep course. Sample questions would be provided for revisions and the solutions for tricky questions would be taught, right in the comfort of your home. With the proper preparation and guidance by the respective professional bodies, taking the four hours long SAT would be as easy as writing down ABC. So, why would you want to pay more for the many retakes of the SAT test when you have the online sat prep classes to offer you tips to get the best result out of your SAT test? The success of your future lies within your grasp now. 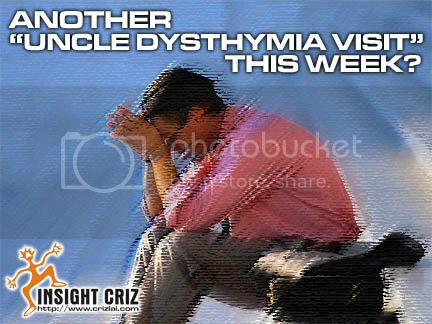 ANOTHER “UNCLE DYSTHYMIA VISIT” THIS WEEK? Yes, men do have similar PMS (Pre-Menstrual Syndrome) symptoms as ladies and it’s not a surprising fact too. The fluctuation of hormone levels can occur as many as 3-4 times a day for the rest of their lives. Some may call it mid-life crisis or even life pressures and these irregular mood swings are caused by depression and anxiety. It is DYSTHYMIA. Most men takes Dysthymia less seriously and most of the time this mild depression would be ignored totally, thus leaving them in a chronic and emotional state for many years. You might lead an unhappy life, work or education stress, financial burden and love relationships but if dysthymia is not treated earlier with the necessary measurement, it would eventually lead to severe depression. Some known dysthymia related outcome would be a high rate of suicide, work impairment and social isolation. A lot of the guys out there are totally unaware that they had slowly slipped into depression as early as in their teens as most of them had adjusted to their worsening moods and were immune to it. For you guys out there, let’s get a piece of blank paper and answer some questionnaires on your life for the past 2 years as stated below. It’s either a “yes” or a “no”. There’s no “maybe” ok? 1. Do you have poor appetite or overeating problem most of the time? 2. 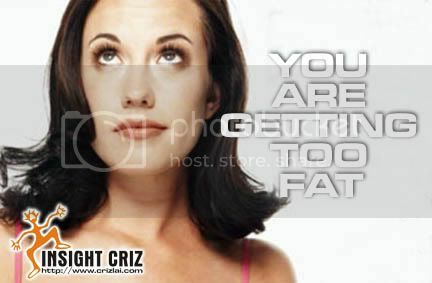 Do you have inconsistent weight loss or gain without any diet plans? 3. Do you tend to feel lethargic or tired during at odd times? 4. Do you have prolonged insomnia or oversleeping problems? 5. Do you feel lost, sad or “blank” most of the time? 6. Do you tend to finish a task longer than it takes as your mind runs wild all the time? 7. Do you take a longer period to give an answer to a straightforward decision making? 8. Do you always feel that you are hopeless, guilty or lost interest in every task? 9. Do you always get irritated and temperamental easily over small matters? 10. Do you have persistent headaches, indigestive systems or chronic bodily pain that refused to response to any medication? 11. Do you feel unhappy, sad and negative as if the world owes you a lot most of the time? 12. Do you think you have been rather anti-social? 13. Have you ever thought of suicide or contemplating suicide? 14. Does your family tree have a history of with depression, alcoholism or nervous breakdowns? So, how is your result? If you have more than 6 “yes” to the questionnaires, I think you would need to think seriously about getting your life straight again by seeking medical advice or natural treatment for depression. Everyone deserved to lead a happier life at all times. There are more and more insomniacs popping up throughout the world recently due to the excessive pressures from either the working or studying environment. Insomnia can be caused by many factors such as anxiety, stress, depression, excessive consumption of caffeine, alcohol or even smoking. An insomniac usually has his mind preoccupied with trying to get more sleep, but eventually the more he tried the more frustrated he would get, thus jumping into more depression. It would be best to seek proper medical advice or get some medical prescriptions for the best sleep aid. Scenario A: It indicated how insecure you are feeling now. Most probably you have some unfinished tasks which are getting too near to your deadline. You might possibly get some bad scolding from your boss or even lecturers. Try to be more relax by listening to some slow music. With a more relaxed mind, tasks can be done easily. Scenario B: Most students who are having an exam or someone who is going to give a presentation or attending an interview the next day. If you think you have prepared yourselves well enough, why worry further about how perfect you are going to be? You have tried your best and the more you fear about it, the more mentally tired you would be and the worst results you would get. Stay cool always and be courageous to face the reality. A mentally stressed mind would never excel in anything. Scenario C: You just had some relationship issues with someone close to you. It might just be the acceptance of your true self by majority of your superior, subordinates or even friends surrounding you. Stay calm and study deep within your inner self the reason that might have caused the scenario. Do get some advice from people that you can trust and find out the ideal solution to get this out of your mind. By then, life would be brighter for you and everyone near you. Scenario D: Your inner self would be like a full blown storm with many worries to your expectation in life. Everything and everyone seemed not right and you kept hearing all those voices circulating in your mind finding faults with all your actions. You are not insane as it happened quite often to people who are heavily worked down. The best solution would be to go to a remote and less crowded place to experience the peacefulness of the Mother Nature. 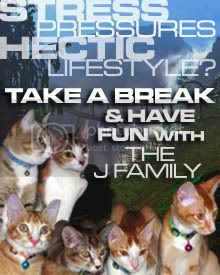 Do try to stay calm and feel relax to the utmost before jumping back into your hectic lifestyle. I am getting panicky to go for my blood test this weekend. After getting the last test result, my results were so poor that I could just collapse anytime with the bad cholesterol overpowering my good cholesterol levels. My body index and weight were blah blah blah. Do I need to say some more? In short, I am getting too fat and not watching over my diet properly. Through research, a normal person should have a balance diet which consists of about 55% of carbohydrate, 30% of fat and 15% of protein. Anything that exceeded that percentage will eventually make you a walking time bomb. A high consumption of fatty food will cause potential heart disease and cancer. A high protein will cause the body to lose calcium, thus making the bones brittle prone to accidents. Many people recommended Phentermine without a prescription by a certified dietitian. The problem with this product is that it is too costly during this economy dilemma. On top of that the product is rather hard to get in the market. Maybe I should consider looking into the possibilities of obtaining more reasonable products such as Orovo, Nuphedragen, Noxycut, 7-DFBX, CurvaTrim, HydroxyCut, AmbiSlim PM, TrimSpa X32, 72Hr Slimming Pill or LipoSeduction. I have not tested out the products myself but I guessed that if those who had tried out the products and got some improvements out of them, should know if those products work well or not. 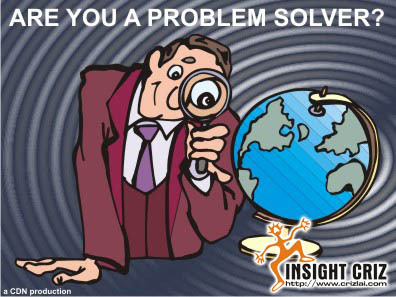 ARE YOU QUALIFIED TO BE A PROBLEM SOLVER? We often have many problems in our life that we cannot even settle. When it comes to the lives of others, we tend to think that we know what will the best for the other person. Are we really sure that we are even qualified for that? Sometimes we think that we are real smart in solving any life issues but it does not always appear to be that way. Everyone has different thoughts and thus they think differently. It is the mind that controls the body and not vice versa. When the mind can fool the body, so can it in deceiving others on how they will look or think upon us. It is said that it is difficult to read the mind of others in order to find out about a truth, although truth is such a simple thing in life. The mind will work in a defending mode to close up the truth. That is why the human mind is such a complex matter. Speech is one of the actions that are controlled by the mind. Most of the time, a person will try to cover up a wrongful action by lying. Lies will not stay closed forever. Someday and somehow, with the habit of one lie covering another, a person may be caught red handed as he/she will surely forget what was mentioned in the first lie. So, it is better to live a life of pure actions rather than a life of deceptions. Let us work on how different it is to know what will be the right answer of another person based on your thinking power to analyze on an issue. If you think you are as smart as the Japanese Crime Solver Kindachi, Conan Detective, Sherlock Holmes or even a member of the Q Detective School, try solving the following simple mysteries and compare them with my answers. 1. A woman has been found guilty of murdering her boyfriend. All the evidence was conclusive and she had confessed to the crime. When she came up for sentencing, the judge has no choice but to let her go. What was the reason(s) behind the pardon? 2. A man walked into a restaurant and asked for a glass of water. Suddenly, the waiter pulled out a gun and pointed at his head. The man was shocked but he says, “Thank you” and walked out happily. Why was the man so happy? 3. A man took his wife for a holiday in Italy. His wife was murdered there and the Italian police found no evidence to convict anyone of the murder. When he went back to USA, the American police arrested him for murder. Why did the American police arrest him while the Italian police did not do so? What was the proof that the American police have? 4. A man had an important appointment at the ninth floor of a building and he was late. When he reached his destination for the meeting, he pressed the fifth floor button of the empty lift and walked all the way up to the ninth floor panting away. Why did the man press the fifth floor button when he was late for the meeting? So, did you manage to solve all the problems above? Do you think that you had the ideal answers? Maybe what you thought might not be what I was thinking. Here are the answers to my questions. If you have other answers, please share with me here. 1. She was born as a Siamese twin and the judge has no right to arrest another half who was not guilty of the murder. 2. He was happy because the waiter gave him such a fright that it cleared him of the hiccups he was having then. 3. The Italian police could not arrest him because they did not know that he has bought only one return ticket back to USA. The American police on the other hand have proof of his intention to murder his wife. 4. He was a midget who was too short to reach the ninth floor button. Since there was no one in the lift, he had no choice but to press the highest button that he could reach. The answers might sound ridiculous but those were what I had in mind to brighten up your weekend with a touch of humour. Anyway, have a great weekend ahead. P.S. : Sorry for the lack of posts as I had problems with my internet access due to my ISP network problems and an unaccounted for DNS Trojan virus threat.